The New Boyz are at the center of a legal battle over the name of their group. Gospel group The News Boys filed a federal lawsuit against the group on July 6, in District Court of Middle Tennessee, Nashville division. The lawsuit, which was filed by The News Boys and Wesley Campbell, claims that fans are confusing the gospel group with the Hip-Hop group. Wesley Campbell, who own and manages The News Boys, said that he is invested millions of dollars and years of hard work to promote The News Boys, who have 28 #1 singles. The gospel group, which was formed almost 26 years ago, has won numerous awards, including Best Christian Rock Band by Readers Choice. Problems between the groups began into 2009, when Warner Music signed the rap group known as The New Boyz. 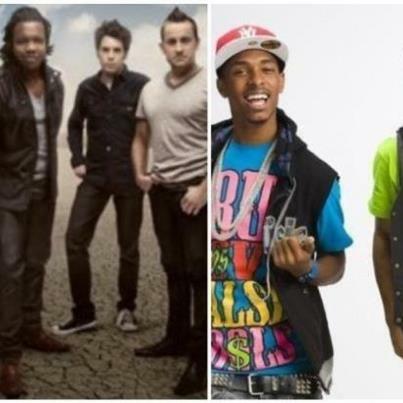 According to the complaint, there has already been several instances the fans confused the gospel group with the Hip-Hop group.